and are the perfect summer treat for both kids and adults alike! To me, ice cream is synonymous with summer. It's a staple in our house all year round, but during the summer we really go all out. If we aren't eating a bowl of homemade ice cream, then we are going out to our favorite local ice cream parlor for a cone or sundae. It is definitely one of our favorite desserts, and one of the simplest as well. 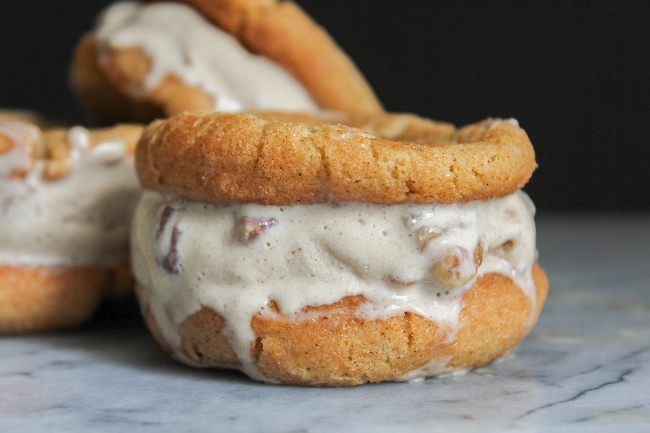 My kids love homemade ice cream, but their absolute favorite is when I make ice cream sandwiches. They can be made in so many ways, so many combinations, that there is something for everyone. 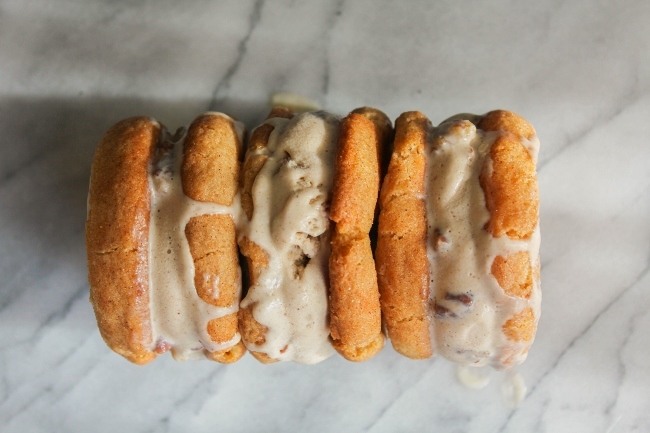 These Snickerdoodle Cookie Cinnamon Pecan Ice Cream Sandwiches just happen to be the new family favorite! 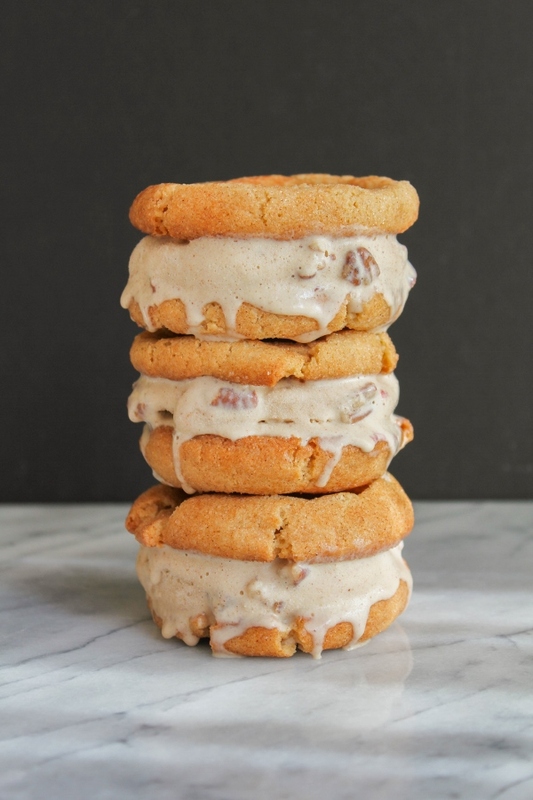 Thick and creamy cinnamon pecan ice cream is sandwiched between two classic snickerdoodle cookies to make one amazing dessert. This treat is not overly sweet, and the flavors pair perfectly together. It's easy to see why my kids love these so much! 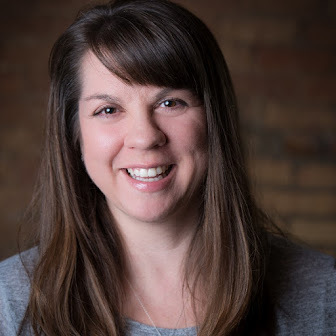 This week the #SundaySupper tastemakers are sharing Kids' Favorite Recipes! 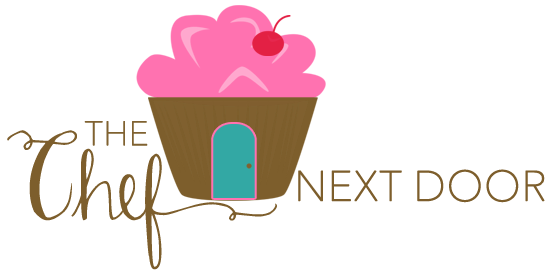 Be sure to scroll down to the end of this post and find some new, super amazing kid friendly recipes! Is there a favorite in your house? Share with me in the comments below! 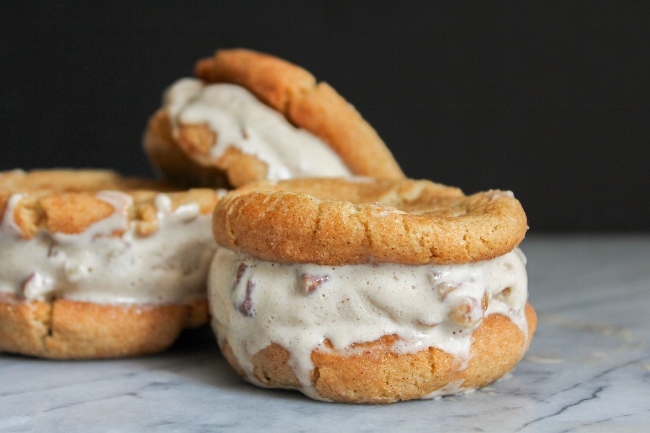 For each ice cream sandwich, place one heaping scoop of ice cream between two cookies. 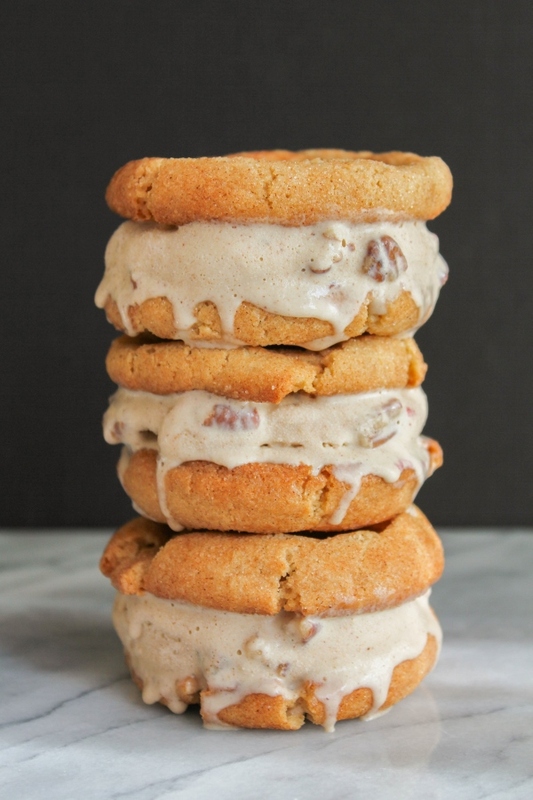 Gently press the cookies together so that the ice cream spreads to the edge of the cookies. Place the sandwiches on a baking sheet and freeze for 15 minutes to set. Eat immediately, or save for later by wrapping the sandwiches individually in plastic wrap. Place them in a tightly sealed container or resealable freezer bag and freeze until needed. In a medium saucepan, whisk together the heavy cream, milk, brown sugar, cinnamon, and salt. Bring to a simmer then remove from the heat. Stir in the vanilla. In a medium bowl, whisk together the egg yolks. Stirring constantly, add about half cup of the hot liquid to the egg yolks. Whisk in another half cup of the hot liquid, stirring constantly. Slowly pour the egg mixture back into the saucepan and cook over medium heat until the mixture is thick and coats the back of a spoon. cream to an airtight container and place in the freezer for about two hours until firm. In the bowl of a stand mixer, beat the butter and both sugars until light and fluffy. Beat in the vanilla and the egg. Add the flour, baking powder, cinnamon and salt to a bowl and whisk to combine. Add the flour mixture to the butter mixture and beat until combined. Using a medium sized scoop, shape the dough into 24 balls. Combine the 1/4 cup granulated sugar and 1 teaspoon cinnamon in a small shallow bowl. Roll the cookie balls in the sugar mixture and place 2 inches apart on the prepared baking sheets. Bake for 8-10 minutes, or until the tops of the cookies crack. Cool on the pan for one minute, then remove from the pan and cool completely on a wire rack.